How does a stem cell therapist get people in a small town to choose stem cell therapy over traditional knee replacement surgery when the treatment is considered a controversial treatment? Oh, and the treatment is $5,000 and not covered by insurance. 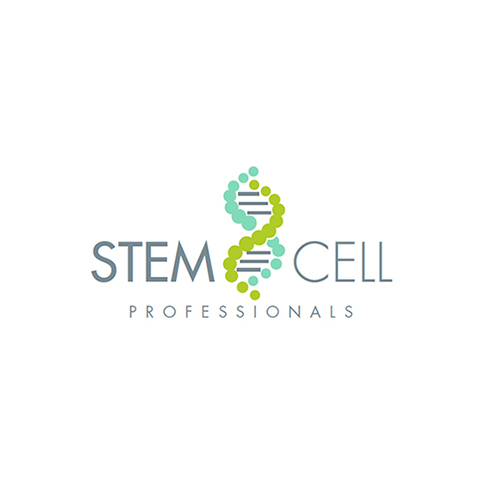 Our client owns a Stem Cell Therapy business. In essence, stem cells regrow cartilage. If you have arthritis in your knee, for example, stem cells can regrow the cartilage and keep you out of surgery. However, this treatment is very new. People have no clue what stem cell therapy is and there aren’t a lot of testimonials out there yet. One of the challenges is to educate people on stem cells. The second challenge is that this treatment is considered controversial. We’ve all heard of the embryo – stem cell debate, right? Well, embryonic stem cells are only one of multiple types of stem cells. Our client only uses stem cells from amniotic fluid, which doesn’t hurt or harm anyone. This is totally different than embryonic stem cells. However, when people think stem cells they think controversy. The third challenge is that stem cell therapy’s main competitor, orthopedic surgery, is covered by insurance. Stem cell therapy is so new that insurance isn’t covering the treatment yet. Not to mention stem cell therapy is expensive. How are we going to get people to pay $5,000 out of pocket? All of the problems above were solved with a simple Facebook Strategy. 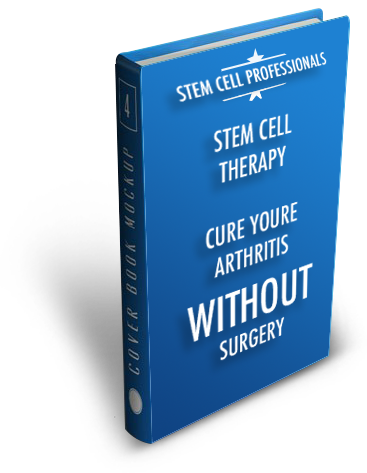 People aren’t familiar with stem cell therapy at all. We knew that we wanted to target older people in the local area and teach them about Stem cell therapy. We ran ads promoting our Free e-book, which was a way to educate people while gathering names and email addresses. A person clicked on a Facebook ad, was taken to a landing page and downloaded our free e-book in exchange for their contact info. 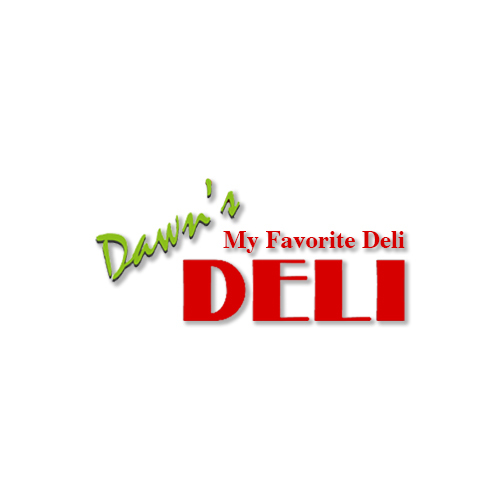 This created chatter, gave us their contact info, educated our audience and grew our tribe of potential customers. Maybe you’ve heard of a marketing or email funnel. Well, if you’re not sure if it will work for you then think again. We made it work for a high-ticket, controversial medical treatment in a small conservative town. See how it works. In essence, a person sees an ad for our free educational seminar. They click the ad and then they are taken to a landing page where they need to sign up for the seminar fast! There are limited seating and limited time. People signed up with a name and email address. Then the person is put into an automated email marketing system where we remind people about the seminar and give them plenty of reasons why they shouldn’t miss the seminar. Then after about 1 month of promotions and emails, the people show up to the seminar. After getting people into our email funnel, educating people on why they should attend the seminar, and getting dozens of people to sign up for the seminar via Facebook the last part was to hold the seminar. 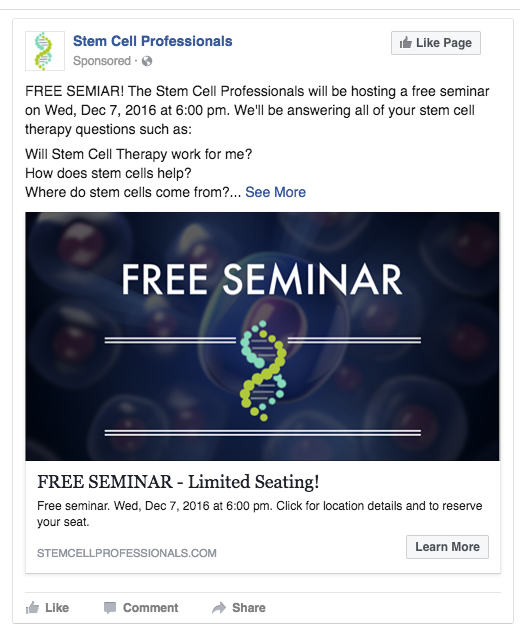 With one month of advertising on Facebook and a one-night seminar, our stem cell client made a 1,500% return on what they spent with us! 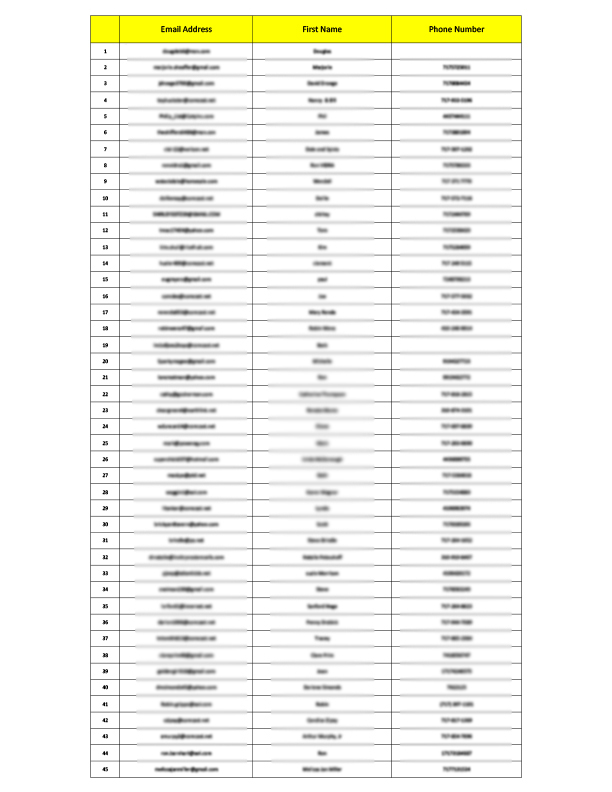 Here’s a list of attendees!